"The Modern Footballer: Identity, Nationalism and Internationalization"
Italian managers present a thesis to their colleagues and teachers at the Italian Federation (FIGC) site in Coverciano, Italy. Crespo presented his research during the 2012/2013 "Corso Master" (Master's Course.) 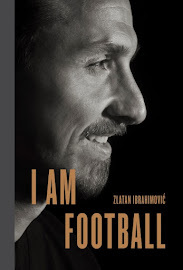 His thesis, 26 pages in length, described the historical and current perspective about three great footballing schools of thought: Argentina, Italy and England, respectively. Given that Crespo played in each country, his observations provide a rare insider's look. You may click the link above to download a PDF file to read the original Italian. Former Argentinean international, Hernan Jorge Crespo, was born in Florida, Argentina, and began his professional career at River Plate in 1993. In 1996, he transferred to Parma in the Italian Serie A and never left European club football after that point. Among his club honors were three Serie A Scudetti, two Argentinean Apertura titles, one Copa Libertadores, one UEFA Cup, one Premier League title, one Community Shield and one Coppa Italia, respectively. Crespo found the back of the net with regularity and enjoyed a career strike rate of almost one goal for every two games he played. He was the leading scorer in three different competitions: The 1994 Argentinean Apertura tournament (River Plate), the 1996 Summer Olympics (Argentina) and the 2000/2001 Serie A (Lazio), respectively. Crespo also holds a rare distinction: He featured in five different Champions League teams. One of his former managers, Carlo Ancelotti, has managed six different Champions Leagues sides. Ancelotti once described Crespo as, "A pure, classic Argentinean footballer." Let's see what Mister Crespo had to say in excerpts from this intriguing section on the history of football in his native Argentina. On the early English influence in Argentinean football. On how football assisted minority groups in Argentina and the "Futbol De Potrero" phenomenon. On the history and evolution of football in Argentina from 1920 to the present along with the internazionalization of Argentinean football. On the emergence of Diego Maradona and Lionel Messi. Highlights from his playing career. As in many other parts of the world, football was introduced in Argentina by the English who already beginning in the second part of the 19th century, had a great community of almost 10,000 people in Buenos Aires. In the first part of its birth, Argentinean football was played mostly by British ex-pats or by those of English descent. Such that the Argentina Football Association (AFA) initially didn't permit anyone to speak Spanish at their official meetings. English, in fact, was the official language during games: "The aggrieved player had to always accept the apologies of the guilty party and when they were sincere and formulated in proper English." With the growth in popularity of the game, an English influence dropped off at the same time. What was a diversion for well-off boys from the better neighborhoods began to spread to the streets that made up the River Plate district. Football became a symbol of economic and social currency which represented the most efficient and direct vehicle of ascent for blacks, mixed-raced people and creoles. The pitch began to represent a free space, a truly democratic one, where you could compete on an equal level. With whites and blacks on the same team. 1914 was an important date in the history of Argentinean football. For the first time, a club who were predominantly "creole," Racing Club de Avellaneda, won the First Division championship. And they did this without one player of British origin in their starting eleven. Beginning with this date, sport opened up to the masses in the streets by implementing a style of play without any rules nor institutionalized support that came to be known as "futbol de potrero." And it was really this that would be decisive for the development of national stereotypes and for the growth of styles labelled "creole" or "of the Rio Plate." Which were defined this way in opposition to the "English" style of play. And it was the same Argentinean media who created the collective difference between the two styles: discipline, a system, strength and that "British" physical presence versus agility, virtuosity in movements and individual creativity of the "creoles". Mr. Crespo referenced "criollo" (creole), in his footnotes as the term given to Argentineans of Spanish origin. Mr. Crespo referenced "futbol de potrero" in his footnotes as the term given to the spaces or areas used as pitches in urban areas. With the 1920's saw an introduction of new stadiums, the development of radio broadcasts and the growing number of club members and organizers who consolidated football as a sporting spectacle. In this period, football was concentrated in Santa Fe and Rosario, but in a special way in Buenos Aires which became the capital of football and of leisure time. From the 1930's and 1940's, frontiers opened up and the global market for players was consolidated. Thousands and thousands of Argentinean footballers emigrated to Europe. But the migratory process wasn't only in one direction. And in Argentina, foreign coaches, mainly European ones, arrived along with English referees. Argentinean football identified itself in those years on two pillars: The "gambeta" as an expression of the individual genius and the "pase" as a measure of talent, collective coordination and a strategic capacity. A style where you only didn't play football, but where individual talent, such as a pianist or violinist, made the Europeans say that Argentineans "tocan el futbol" and legitimized the idea of the "toque" as a symbol of our national style of play. Beginning with the 1970's, the multiplying effect of games between South American and European clubs, due to the possibility to observe, thanks to television, other styles of play and not the last one, the internationalization of the transfer market produced an evolution in the playing style of Argentinean football. This brought about a fusion of "futbol de potrero" with many of the elements that characterized European football: collective and coordinated play, strategy, passing, triangles, and a greater speed of play. The result is the creation of a more efficient style of play which brought forth numerous international victories. And came to be defined in a generic way as "South American football." From this time and afterwards, Argentinean football coexisted with a belief that talent and capacity must always prevail over physical force. A philosophy that brought, in 1978, an Argentina managed by Luis Menotti its first World Cup victory. Mr. Crespo referenced "tocan el futbol" in his footnotes as the phrase used by Europeans to describe how the Argentinean touch on the ball was similar to a musician's touch on a guitar or other musical instrument. "Toque" means their famed one-touch passing style. The rediscovered conviction of an importance of a South American style of play coincided with the arrival on football pitches of a player who perhaps best personified the qualities of the "creole" style: Diego Armando Maradona. He was a player super-endowed with his improvisional dribbling, "los canos", "las pisadas", "la rabona" and "el sombrero". Who for almost two decades starting in 1979, delivered the greatest results for the National team, in clubs where he played and in all of the international football movement. Characteristics and a playing style that we rediscover today with his successor, Lionel Messi. Who although growing up in a footballing sense within European football, maintains the typical characteristics of Argentinean football. The Argentinean manager, Angel Cappa, speaking about Messi after a game at the Camp Nou, said: "We have seen a complete Messi. He possesses a footballing style with enormous breadth, maintains his instincts, imagination and above all, doesn't lose the essence of 'Futbol de Potrero' which is the most important thing." The "potrero" remains the cradle of great footballers and is why it's respected. It's impossible to forget that from those same pitches emerged players such as Juan Riquelme, Carlos Tevez, Diego Maradona and Lionel Messi, respectively. 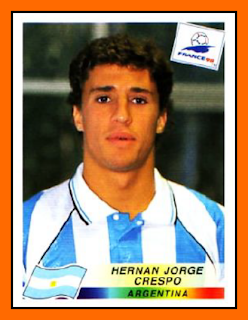 Hernan Crespo could have easily added his name to that last sentence. He also exemplified the "potrero" spirit during his stellar career.